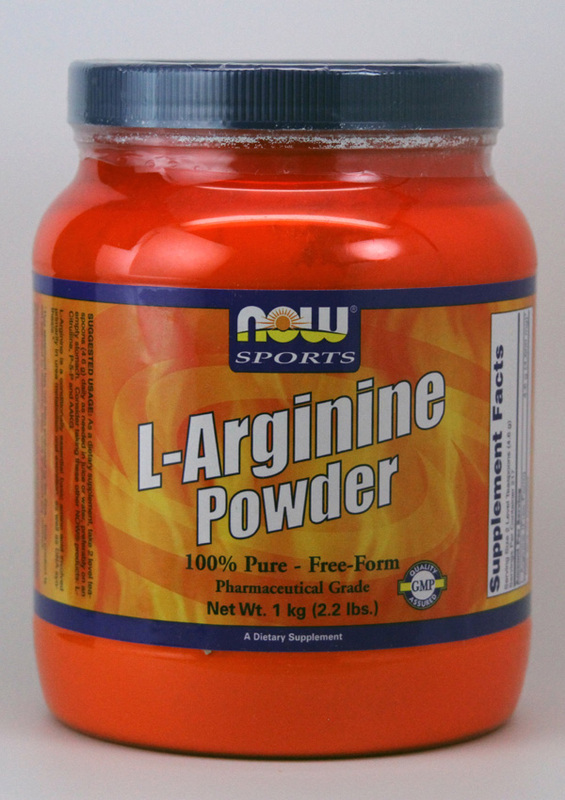 Home > SHOP ALL PRODUCTS > L-Arginine Powder 2.2 LB. L-Arginine is a popular amino acid for its amazing nitrogen retention ability. Nitrogen as you are all aware is one of the key elements in muscle protein synthesis. Some plants can absorb nitrogen, but we mammals have to make do with the stuff we make ourselves. Arginine is mostly present in protanines and histones, two proteins commonly associated with nucleic acids (like DNA and RNA). As a dietary supplement, take 2 level teaspoons (5 g) daily as needed in juice or water, preferably on an empty stomach. Take either before workouts, between meals or at bedtime. For exercise performance, take 3 grams 30-60 minutes before workouts. Increase to 6 grams (2 scoops) if you desire a higher dose. On non-workout days or for a daily maintenance dose, take 3 grams. This product sold by weight not volume. unless otherwise prescribed by a physician. or have established coronary artery disease.